The first two workshops of ‘Be a Change-maker 2019’ were held on 3rd and 4th November. 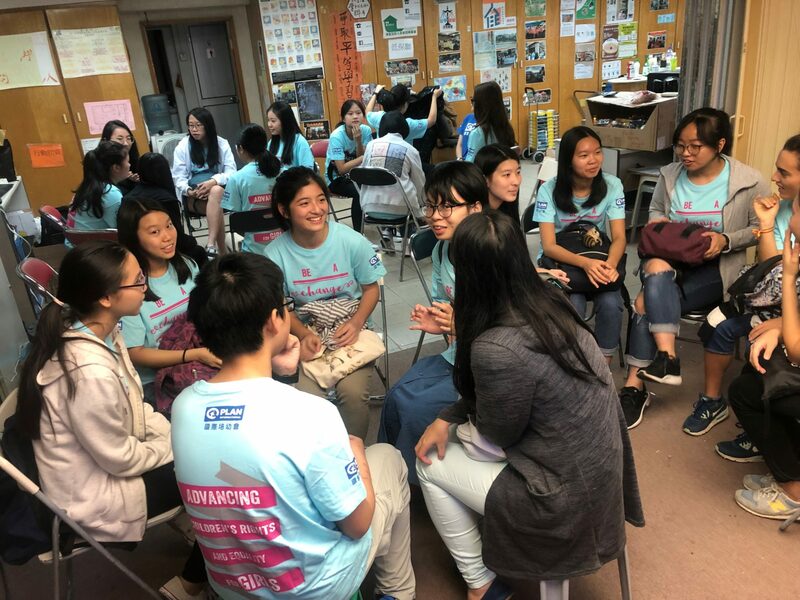 Through interactive games and activities, participants learnt about issues faced by children in Hong Kong and around the world. The ‘change-makers-to-be’ also developed communication skills and team spirit to prepare for their community seed projects. Step by step, these young people are thriving as change-makers that bring positive changes to their communities. Some of the participants will even visit Cambodia with Plan International Hong Kong, for more details of the activities, please click here. To mark 11 October, the International Day of the Girl, Plan International has organised global action to highlight the barriers and discrimination faced by girls. In Hong Kong, Plan International organised “Because I am a Girl – Donate a Pencil” Campaign in October to raise awareness of child marriage in Cambodia. Many girls in Cambodia are forced into early marriages because of poverty and cultural norms, exposing themselves to threats like sexual violence, complications during pregnancy and childbirth, and dropping out of school. To fight against child marriage, local young people set up a Child Club under the support of Plan International. The children and young people of the Child Club regularly come together with teachers, police as well as village committees to discuss the impacts and solutions of dropping out and child marriage, and also to promote sexual and reproductive health education. Click here to learn more about child marriage in Cambodia.